Bikes and components are becoming stronger and lighter every year, but my bones and joints are not. With that in mind, here is a list of eight new protective products that will help keep you healthy and happily riding. The hourglass elastomers in the new 6D helmet act as secondary shock absorbers in an impact (click to enlarge). Most helmets built today use the same technology and construction methods as those manufactured 20 years ago. 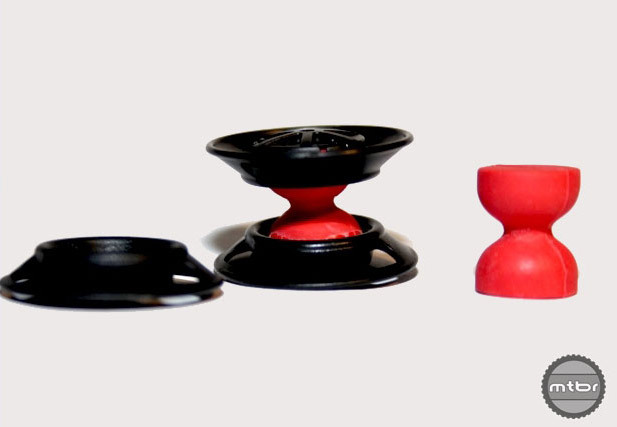 6D has upended the status quo with its ODS technology, which uses small hourglass shaped elastomers sandwiched between two layers of EPS foam to help reduce linear and rotational forces during a crash. 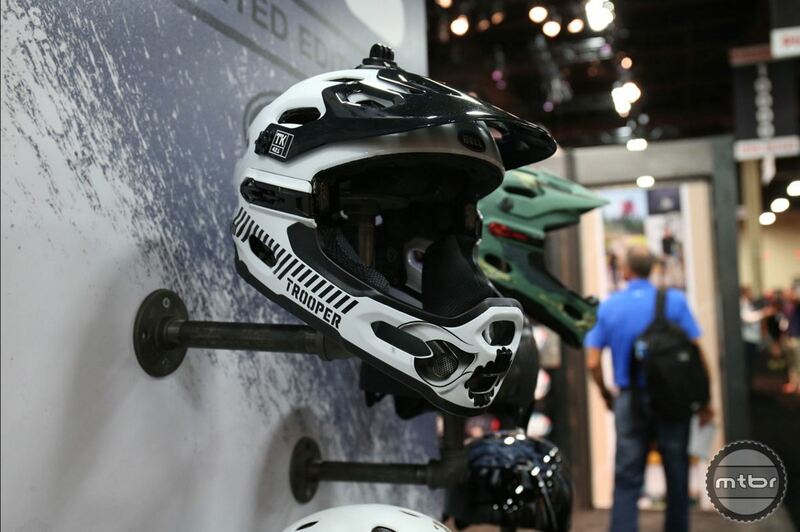 The arrival of this technology has forced motorcycle manufacturers to release more innovative products and we hope the same holds true for the bicycle industry now that 6D has announced a new trail lid. For more info, check out our Interbike coverage here. The 80s called (click to enlarge). While goggles offer the ultimate in visibility and protection, they often fog up at low speeds, and some consider pairing them with a trail helmet to be a major fashion faux pas. 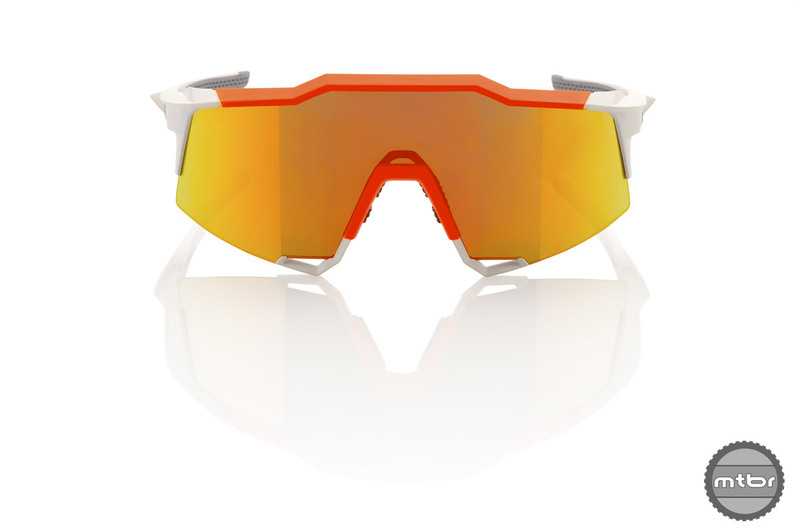 Enter the new Speedcrafts from 100%, which offer goggle like coverage, 1980s styling, and excellent venting. MSRP is $175-$195. For more info, visit 100%. The Bell kids helmets are available in gender neutral colors or with sweet graphics (click to enlarge). Whether you buy into MIPS or not, it is exciting to see a brand offer an arguably safer product for children. 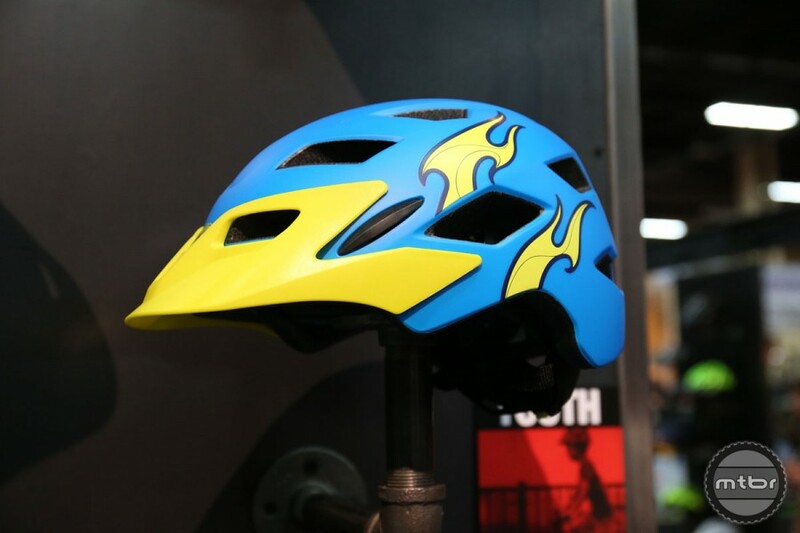 Retail for the new kids MIPs equipped helmets start at $60. For more info on the new helmets, check out our coverage here. Bell gave both their Super 2R and Segment dirt jump helmets the Star Wars treatment (click to enlarge). In anticipation of the new Star Wars film, Bell partnered with Disney to produce a line of Star Wars themed helmets — and the results are awesome. For more images of the new helmet, check out our coverage here.